Ope is a specialist periodontitist working in Wimpole Street in a specialist periodontal referral practice. Ope offers some fantastic support for GDPs who refer patients to him including being able to attend study clubs. Last week, the topic Ope discussed was peri-implantitis - a growing concern in modern dentistry. Here's a brief summary of his talk. 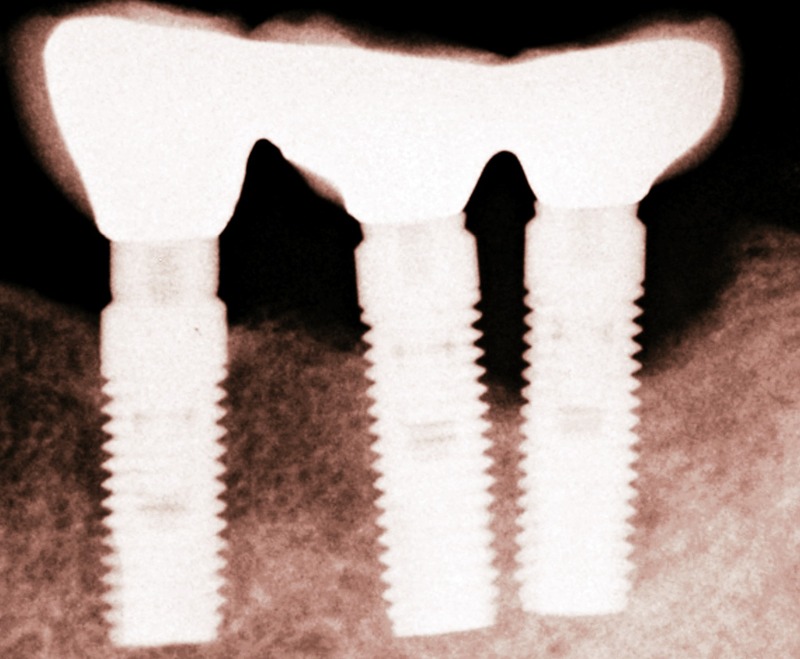 What diseases can affect implants? Commonly, peri-implant disease presents with no complaints from the patient until the situation becomes very advanced. Inflammatory lesions appear deeper and much quicker around implants than teeth as there is no connective tissue present, so if a patient presents with a mobile implant, the implant itself is probably about to fall out. There could be the added issue in a patient with a thick gingival biotype, the inflammed tissues are masked and are less likely to recede so detection can be delayed. Pockets around implants are also physiologically deeper than around teeth, so a 4mm pocket may indicate disease around a tooth but not around an implant. The pockets themselves may be difficult to measure around an implant due to subgingival threads or bulbous crowns making access parallel to the long axis impossible. So how can we detect Peri-Implant disease? Regular maintenance and imaging is paramount to the early detection of disease. CBCTs are not useful as the implants create scatter, but bitewings are very good to show bone levels around implants. How do I treat Peri-Implant disease? Is there enough keratinised tissue present? Is the thread pitch of the implant (the distance between the threads) enough for Guided Bone Regeneration (GBR)? Can the implant be adequately decontaminated? Thanks so much to Ope, Jo and the team for organising a really informative evening. Can't wait for the next one! To see more information see Ope's practice website here. Do you feel confident diagnosed peri-implant disease? Let me know in the comments below!